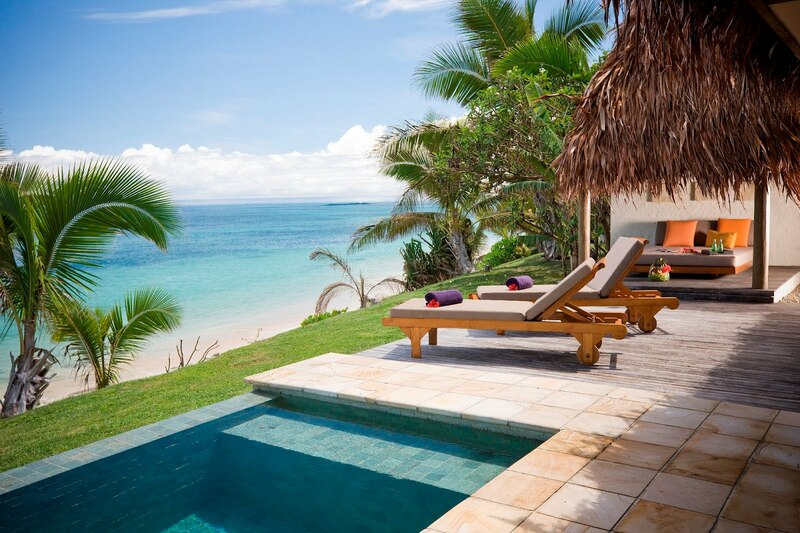 Tokoriki Island Resort Fiji now offers an unlimited FREE WiFi service to all guests staying at this stunning, luxury island resort. Guests can catch up with news and loved ones while enjoying a cocktail or coffee in the bar, lounge and central lobby or even when catching a few rays lounging by the 25m infinity pool. The luxury bures and villas will continue to boast no TV, alarm clocks, telephones or newspapers to ensure guests relish in the peaceful setting enjoying the sounds of a lapping ocean and a tropical environment. Tokoriki Island Resort is a luxury couples' only resort located in the Mamanuca Islands Fiji, only 15 mins by helicopter, seaplane or 1hr by South Sea Cruises or private speed boat.